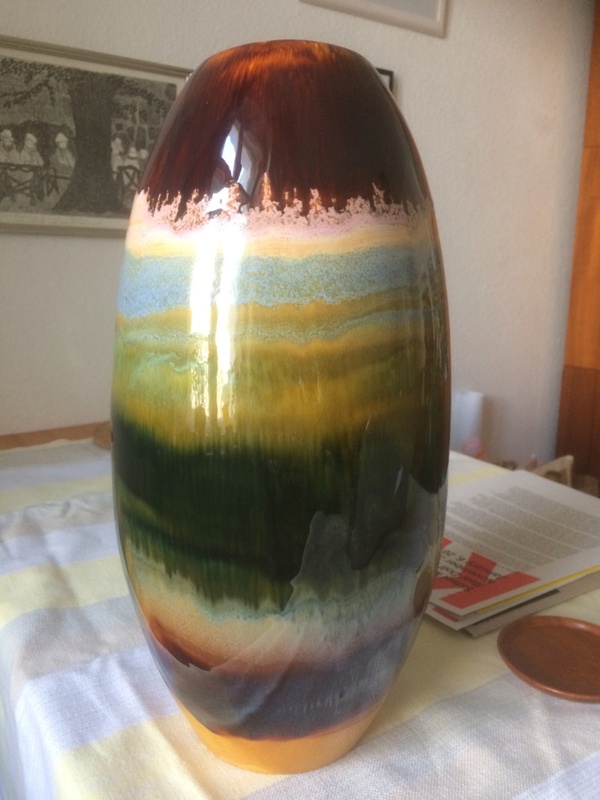 Hello, please could you help me identify this vase? It was bought in Germany from a seller who described it as 'typically GDR' but personally I haven't seen one like it. 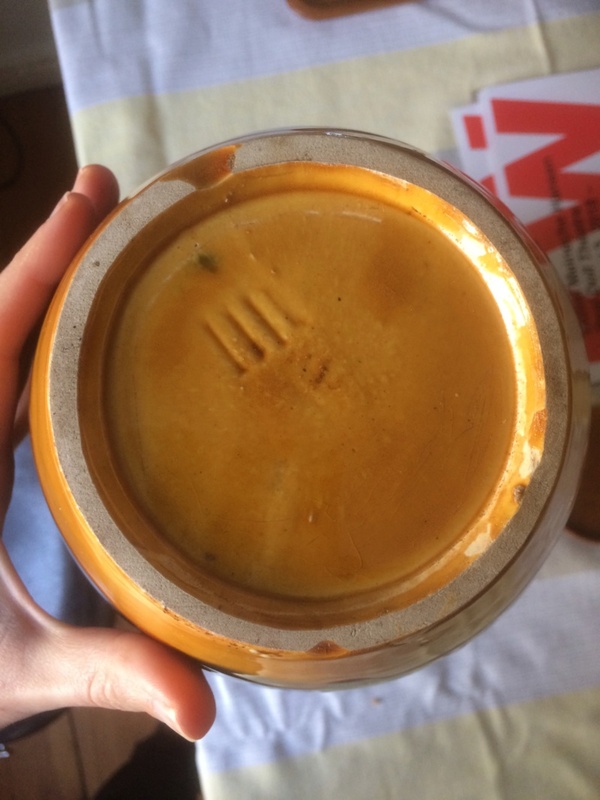 It seems to have 4 lines or stripes stamped on the base - one slightly shorter than the others, but I can't find anything similar on the internet. It has a drip glaze and appears to be white clay.